"It was a great class and very challenging. I was surprised to feel stronger for the 2nd workout of the week. John is very motivating, and knows how hard to push without going overboard. I would recommend this class for anyone who is bored with their workout and needs to kick it up a notch. JOHN IS THE HOT SAUCE FOR EXERCISE!" "I started working with John Hayley, SGX in March 2014 after tearing my calf muscle in a karate accident. At the time, I was 54 years old, 40 pounds overweight, and I could not do one stinking pull-up or even jump rope (calf). 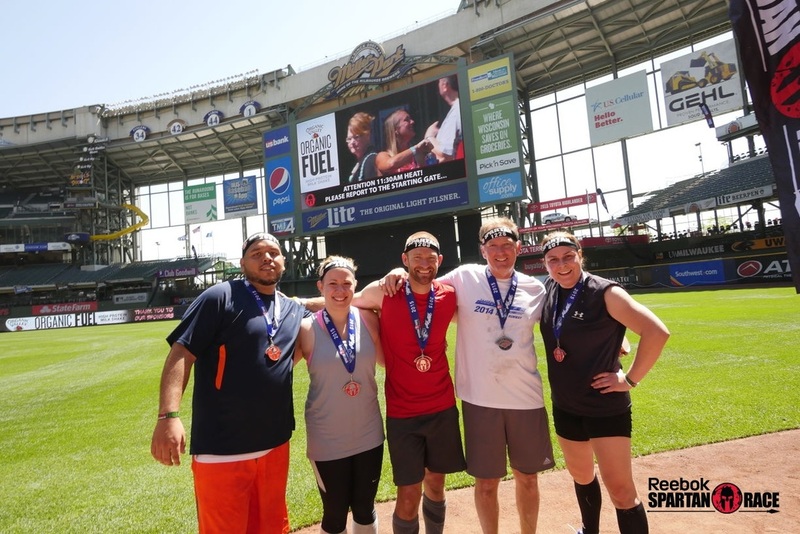 Through the Spartan SGX coaching with John, I ran three obstacle course events throughout the summer. I even came in third in my age group in the second race! 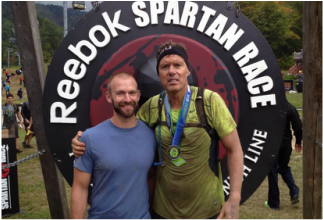 Throughout the summer, we worked towards the Spartan Beast in Killington, Vermont. Not only did my body and fitness improve dramatically, but my mental attitude transformed into a person that was UNBREAKABLE! I now “KNOW” that anyone can accomplish anything if they put their mind to it. I ran and finished, the Killington Beast at my goal weight, completing obstacles that I once thought were impossible and will continue my Spartan training (physical, nutritional and mental) forever." "John has prepared me for the summer tennis season and the winter ski season so that I could start off strong and continue without injury. He's safely eased me back into fitness following illness. Training weekly with John ensures that I've got the strength and stamina necessary to maintain a busy lifestyle filled with personal and professional activities and responsibilities. "John Hayley has been great. I have been working out my entire adult life but they (John and the group) push me to a different level. I would never do the exercises by myself and I love the way I feel after each class. I have become much stronger and found new exercises and equipment. I also love getting my workout in early and done with. That way I can carry on with my day!" "Since I started going to boot camp I have lost inches and got stronger - I can finally do a man's pushup." "I never thought I'd enjoy working out at 6am so much! It’s amazing how a great trainer and great group can keep you coming back for more week after week. John has tremendous energy and the knowledge to maximize workouts while keeping his group motivated. He is organized and has a great plan in place every session... our hour flies by. After having five kids, Boot Camp has been instrumental in helping me get back in shape. I feel fit and strong; better than I have in years. 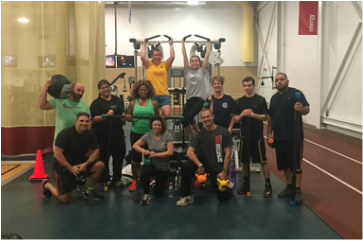 Don’t put off feeling fit another day; join the Unbreakable Fitness Boot Camp. I highly recommend it!" "Unbreakable fitness is just the right blend of weights and cardio, to make for a well balanced workout. The instructors also make sure that you are using the right "form" to ensure there are no injuries within the class, it is a great value."